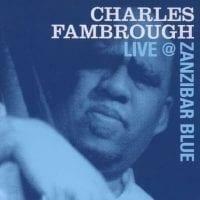 The heart of a jazz fan beats like Fambrough's bass, driving the lifeblood of warm sounds through the speakers and into the brain. Some bassists, in their own sessions, favor percussive and percolating arrangements that place the instrument in the role of soloist. 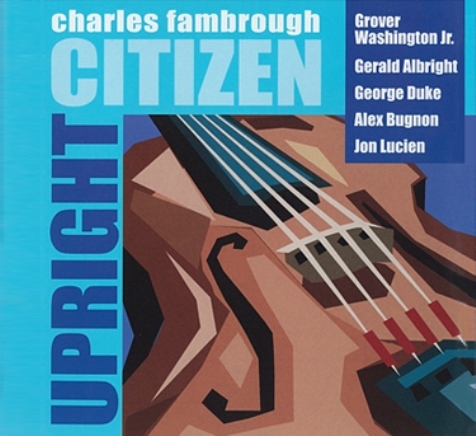 Charles Fambrough actually seems to downplay the bass on Upright Citizen, ceding the spotlight to guests like Grover Washington, Jr. and Joe Ford. Fambrough's domain here is the rhythm section, adding programmed drums to his basslines in order to get the right foundation in place. As the captain of this ship, Fambrough ensures a smooth ride, absorbing the shock in Alex Bugnon's potentially bumpy "In Stride" and making sure a track like "D's Song" has the right amount of snap to it. 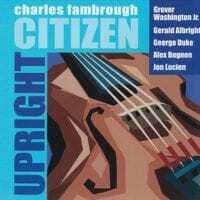 Though Fambrough built his reputation largely on bop, Upright Citizen is more of a crossover album, lyrical and light on its feet. 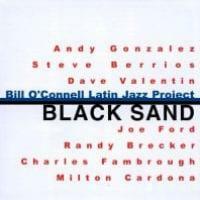 There are certainly stretches of substance, such as George Duke's piano solo on "It's Not Easy Havin' Fun," but even here the soprano sax washes away the intellectualism in a simple, cleansing motion. This session doesn't completely qualify as smooth jazz; there's more afoot than sweet sounds and mildly funky rhythms, yet even the most complex passages are never far removed from an ingratiating and warmly rendered melody. If you enjoy the sound of the soprano sax but find Kenny G a little light for your tastes, Upright Citizen might be right for you. The disc was reissued by Random Chance in 2002, with a different cover and slightly scrambled track order that essentially flip-flopped the opening and closing songs, among other things. The original 1997 Nu Groove recording is rich, vibrant, and clean, so you can't go wrong with either copy.